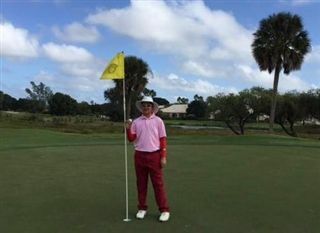 Congratulations to 7th grader Alexander Yang on winning the U.S. Kids Golf Regional Championship on December 22nd. The Holiday Classic tournament was played at the PGA National Golf Club in Palm Beach, Florida. Alex shot a 70 and 68 for a two-day combined score of 6 under par. He won the boys 13-14 division by nine strokes. This win adds to what is already an impressive golf resume: Alex shot an incredible 62- 63-78 (-18) during a youth tournament this summer, and finished second at the 2015 Junior World Golf Championship.